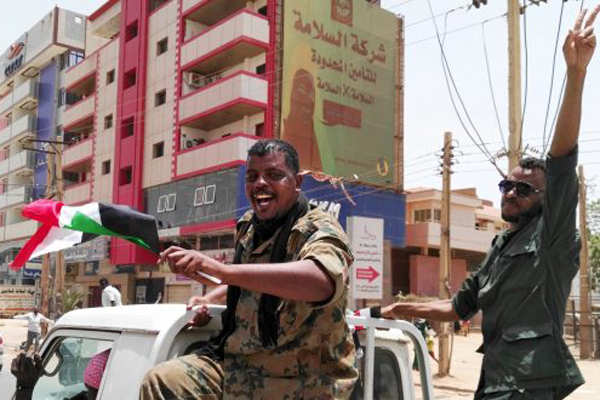 Sudan’s military on Thursday took over the reins of the oil-rich North African country from President Omar Al Bashir in a coup and arrested him. In an address on state television, Defence Minister Awad Mohamed Ahmed Ibn Auf, announced a two-year period of military rule to be followed by presidential elections, reported Reuters. Announcing a state of emergency, a nationwide ceasefire and the suspension of the constitution, Auf said Sudan’s airspace would be closed for 24 hours and border crossings shut until further notice. Also several political prisoners have been released following thee coup. Names of Bashir’s possible successors that have been circulating include the defense minister, an ex-military intelligence chief, also an Islamist, and former army chief of staff Emad Al Din Adawi. Adawi is said to be favored by regional neighbours at odds with Bashir over his Islamist leanings. The army’s ouster of al-Bashir came after four months of nationwide protests and ends the reign of one of Africa’s longest-serving rulers, reported Bloomberg. The 75-year-old becomes the second regional leader after Algerian President Abdelaziz Bouteflika to leave this month in the face of nationwide protests, stirring echoes of the Arab Spring uprisings that rocked the region from 2011. Sudanese sources told Reuters that Bashir was at the presidential residence under “heavy guard”. A son of Sadiq Al Mahdi, the head of the country’s main opposition Umma Party, told Al Hadath TV that Bashir was being held with “a number of leaders of the terrorist Muslim Brotherhood group”.